So how did Reesa and I spend New Release Day?? Duh… with shopping, of course. Reesa had this super cool idea to create bead charm bracelets to commemorate our books. I did not need any convincing, being the sappy romantic that I am. Something to celebrate and commemorate AND it’s pretty jewelry? I’m there! I may have spent almost *mumble mumble* two hours obsessing over beads. But seriously, there were so many! And it would be sad to not find the perfect one to represent Riv and Ducks, or Tal and Kellen and Vanya. Or planets. Because come on, I needed a beach glass bead to represent Karibee, and a snowflake for Noska, and this cool green swirly thing for Maltana, and this brass etched official looking charm for Rogena and… well, you get the idea. 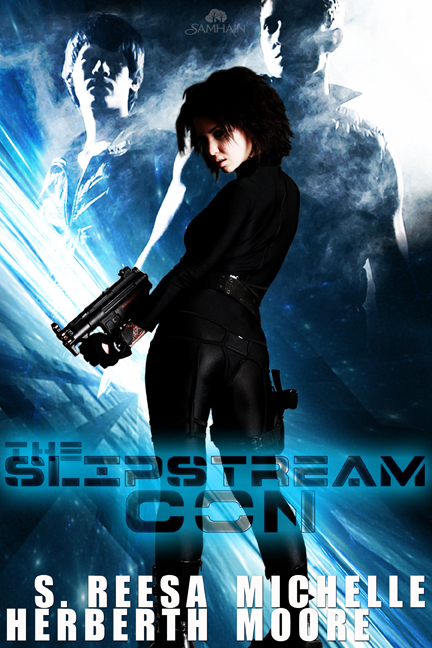 The Slipstream Con – Available now! It’s finally here! Our new book, The Slipstream Con, releases today, and we’re excited to be able to share an excerpt with you. You can read the full first chapter, or purchase the book, by clicking on the cover below.